The quaint area of Oak Bay has lots of unique little shops and great restaurants. Easy walk to downtown or Oak Bay. Nice location close to Oak Bay where we explored some of the local amenities. Oak Bay Avenue has a British feel, with tea rooms and charming pubs (penny farthing). walk to Empress, 5 to Cook St. 15 to Oak Bay. A unique Historical hotel. The rooms are efficient and we had a view of the water which was really nice. Great friendly helpful staff. Location is perfect if using the Clipper or ferry. Room service from Jonathon's restaurant was great. Where to find Oak Bay hotels near an airport? How can I find hotels in different Oak Bay neighborhoods? 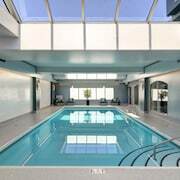 Where can I find hotels in Oak Bay that are near tourist attractions? If you are seeking great places to base yourself in Oak Bay, you have loads of options. Spend some time exploring our 80 accommodation options, all of which can be found within a 0.1-kilometre (0.06-mile) radius of downtown Oak Bay. One of the keys to trouble-free traveling is finding a hotel that's close to the action, so have a look at the Oak Bay Beach Hotel and Oak Bay Guest House, which are located within a 1-kilometre (0.6-mile) radius of Oak Bay's downtown area. 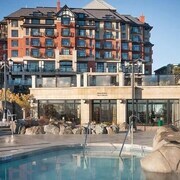 Check out the Brentwood Bay Resort & Spa or the The Fairmont Empress. 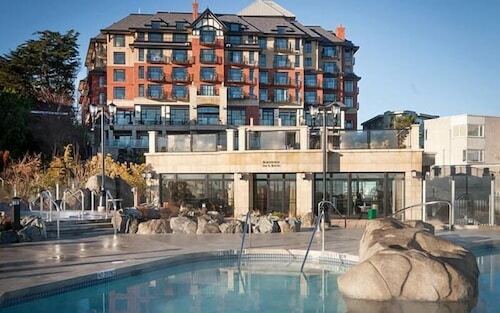 The Brentwood Bay Resort & Spa can be found 20 kilometres (13 miles) from the center of Oak Bay. 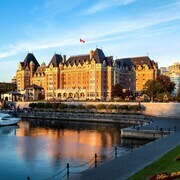 The The Fairmont Empress, is located 5 kilometres (3 miles) away. Two more hotel options in this area include the Humboldt House B&B and the Victoria Regent Waterfront Hotel & Suites. If time permits, you might like to discover the other scenic and cultural delights of Vancouver Island. Photographers will love Vancouver Island's forests. You should also head to its old towns and history museums. Active travelers may also try snowboarding and skiing in this part of Canada. 25 kilometres (17 miles) from Oak Bay you will find Sidney, where you can explore Iroquois Park and Rotary Park. Should you wish to stay in Sidney, check out the room rates at the The Sidney Pier Hotel & Spa and Beacon Inn at Sidney B&B. 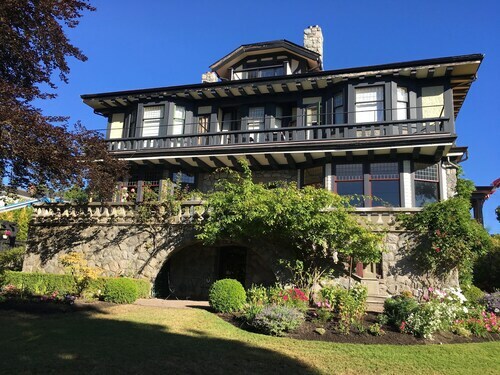 25 kilometres (16 miles) to the north of Oak Bay, you can also stay at Booktown, which is home to the Victoria Airport / Sidney Travelodge and Best Western Plus Emerald Isle. The Lolly Gobble Sweet Shop and Sidney Skate Park are a couple of the most popular attractions to experience should you visit Booktown. If you like sports and enjoy watching games you might decide to make a trip to BC Place Stadium, which is 95 kilometres (60 miles) to the north of Oak Bay. For tourists who are interested in booking a room close by, make a reservation in the Fairmont Pacific Rim or Shangri-La Hotel, Vancouver. Friday Harbor Airport is a logical airport, and can be found 25 kilometres (15 miles) away from Oak Bay. Accommodation options nearby are Friday Harbor Suites and Tucker House Inn. What are the most popular Oak Bay hotels? Are there hotels in other cities near Oak Bay? 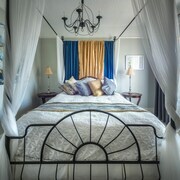 What other types of accommodations are available in Oak Bay? Explore Oak Bay with Expedia.ca’s Travel Guides to find the best flights, cars, holiday packages and more!